Are you equipped to deal with the compliance mandates of PCI 3.2? In mid-2015 when the buzz was at its peak on EMV (Europay, MasterCard and Visa), the push for retailers to adopt the technology began. The idea behind is to protect consumers from transaction fraud and lower their expenses from charge backs. Chip information stolen cannot be duplicated because the transaction number cannot be recreated and will not work on a new transaction. However, the little chip on your card cannot prevent data breaches. Does EMV reduce PCI requirements? It is not card data protection – EMV does not encrypt the Primary Account Number (PAN) and therefore the card data must still be protected according to PCI guidelines. The short and right answer is PCI is just not going away. EMV has nothing to do with PCI compliance or store data security. Self-assessment questionnaires (SAQ) and Qualified Security Assessor (QSA) audits will continue. Besides, the compliance requirements of PCI 3.2 have increased. Merchants from Level 1 through Level 4 have to show proof of compliance every year. What to monitor, log, scan, alert…? How to stay continually compliant? There is a lot more to do and merchants cannot be worried about spending time on compliance when they have a business to run. Help is just a phone call or a few keystrokes away. Get started now. 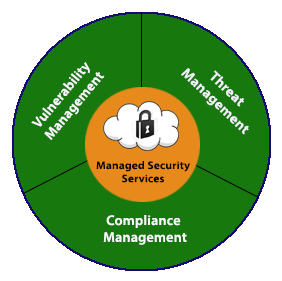 Omega provides security and management solutions to address the data security and compliance void in your retail environments. Are you satisfied with the security of data within your organization? Contact security@omegasecure.com, or call Peter Guidi at 636-557-7777 x2451 to secure your retail environment.